“America’s original butcher” has been doing their thing since 1917 and with their marketing and exceptional products they are a household name in the mail-order meat business. Indeed, Omaha Steaks ships millions of pounds of beef every year. While they are well known for their beef, they offer much more: from seafood to pork, prepared meals, appetizers, and even wine. 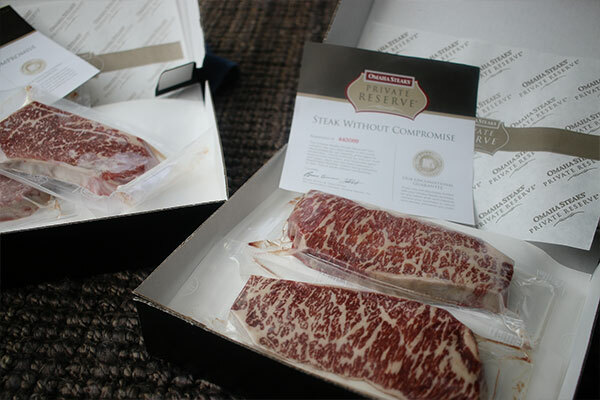 We’ve been fortunate enough to try a number of their offerings here at grillseeker.com and have been most impressed with their recently launched Private Reserve collection that that includes, among other things, wagyu and dry aged beef. Their wagyu beef is hyper-marbled and aged 28 days to extreme tenderness. wagyu, as most of you know, is a Japanese breed of cattle prized for its very dense marbling; Omaha Steaks uses a wagyu cross-bred with American Angus to add a very complex and robust flavor profile. The ordering process is about as easy as it gets. Their website is pretty seamless and with a few clicks, you’ll have your cart loaded up. 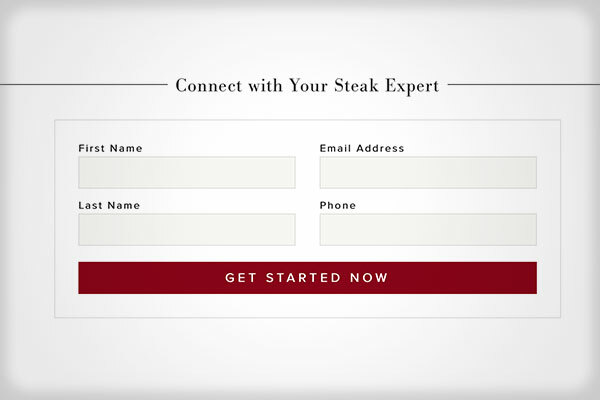 We also found the mobile ordering to be just as easy, so if your main conduit to the World Wide Web is via a smart device, you’ll have no issues with ordering from Omaha Steaks. When ordering, however, pay attention to quantity. We’ve found in some cases, depending on the item, that it’s actually less expensive to order a quantity of eight than it is to order a quantity of 4 of the same item. Shipping is the biggest setback for most online meat companies and that likely has to do with lack of experience. 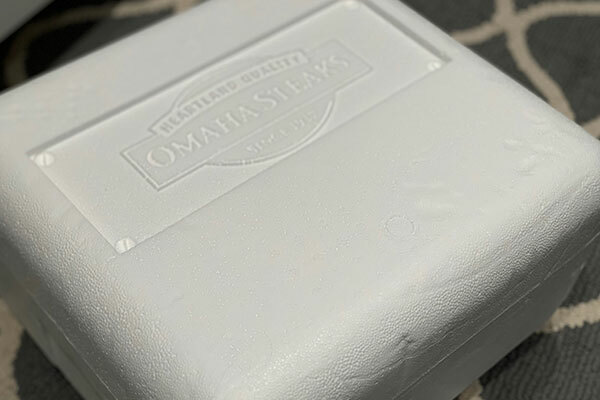 Not the case for Omaha Steaks—they’ve been doing this long enough to have sorted out all the shipping hiccups. Their meats are flash frozen shortly after being cut, vacuum packed, and shipped with dry ice in a Styrofoam cooler. Emails are sent notifying of shipment, so you know when to expect your order. If you select the optional phone alert, you’ll be notified when the package has been dropped off. In addition, they also offer a gift service which allows you to include a greeting card if you’re shipping to a friend. What might be best, is that you can often score free shipping depending on your order. Free shipping with an online meat delivery service is a huge bonus, as that’s often a rather expensive proposition. We can’t say enough for the selection that Omaha Steaks offers. They have the largest selection of products of any of the online meat purveyors we’ve experienced. 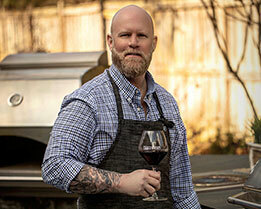 Aside from their beef offerings, they offer pork, chicken, seafood, appetizers, desserts, prepared meals, and even wine. Oh, and don’t forget the dog treats too! If you don’t see what you want, they also offer custom butcher shop services—more on that later. This truly is a one-stop shop for online meat. Let’s start with the obvious: Was the meat any good? Let’s face it, if the product isn’t good, the rest doesn’t really matter. In short, the private reserve collection of wagyu and dry aged meats are exceptional. 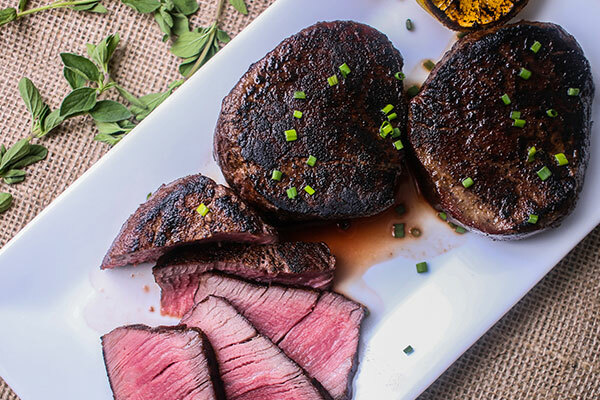 The wagyu strip steaks are, as cliché as this sounds, melt-in-your-mouth tender. The lamb chops are full of flavor and trimmed perfectly right out of the package. If you’re looking for a monster T-bone, check out the 48-ounce king cut. 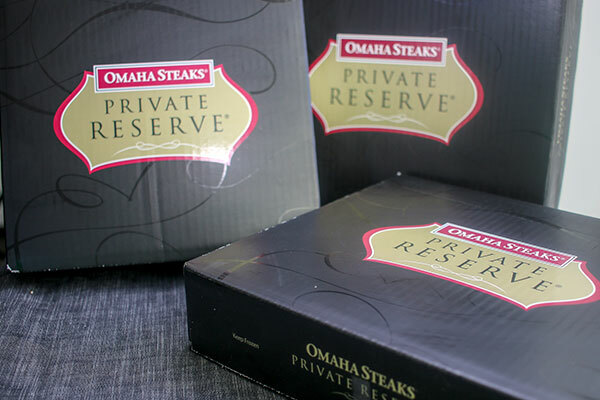 Aside from flavor, we loved that the meats from Omaha Steaks are sourced from American farmers. In the meat industry, “Product of USA” is often misleading to it’s nice to know that Omaha Steaks actually get their meats from American farmers. Selection is another aspect of OS that we are fond of. Not only in terms of portfolio, but in terms of budget. They have an offering that suits any budget and that’s an exception in the online meat world where most items are for special occasions only—unless you have a much bigger budget that we do here at GS.com. We’ve been most impressed with their delivery, which has been the Achilles heel for many purveyors. After placing numerous orders, we’ve yet to experience a single shipping issue. Mentioned earlier was the custom butcher services, which is a very cool concept. We’d like to see this improved as it’s an offering that could really be useful. When clicking that option on their website, you’re only prompted to submit your phone number and email for someone to call you and ask what you’re looking for. In our experience, the person who called, while extremely nice, was unfamiliar with what we were trying to order. In our case it was sirloin cap, or Picanha as it’s often referred to. It seems if there were a small dialog box to fill in what was being requested that some research could be done ahead of time, prior to a representative calling. It would just make the process more efficient. After a phone call and few emails we were able to sort out the sirloin cap and what was delivered was as requested, it just took a bit longer than we would have liked to place the order. Next, we’d like to see a bit more flexibility on the order quantities. We’ve found in most cases, the minimum ordering quantity for an item is four. Some items allow for a quantity of two and we’d love to see that expanded to all items. We always start this analysis with “would we give this product as a gift to a friend or family member and be proud of it?”. In short, yes, we definitely would. 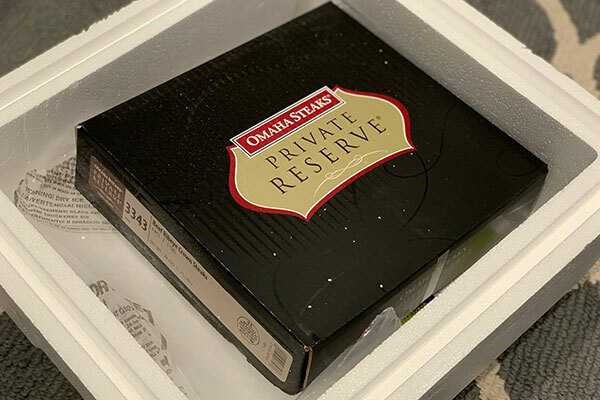 Admittedly, we haven’t tried every product Omaha Steaks offers, but what we have tried from the private reserve and dry aged collections, as well as the butcher services, custom, and king cuts has been exceptional in flavor and quality. Also, the price point is reasonable considering the quality of the items. Like others, if you sign up for their email list you’ll get some really nice discount codes on occasion which makes for an even better value, so we’d recommend doing that as well.